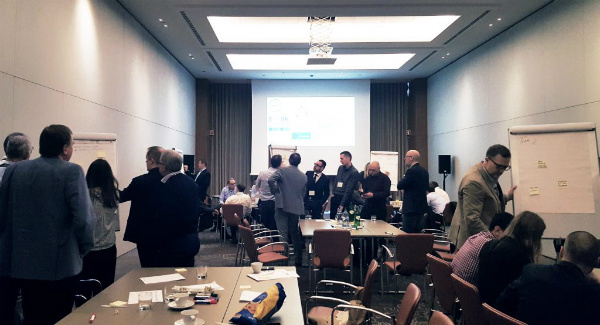 PDAgroup had the honor of being invited by Norman Ernst—Enablement Leader for Europe, Middle East, and Africa as well as organizer of the conference—to deliver and facilitate two of the sessions planned for the summit: The Art of Storytelling and a partner session infused with elements of Design Thinking. 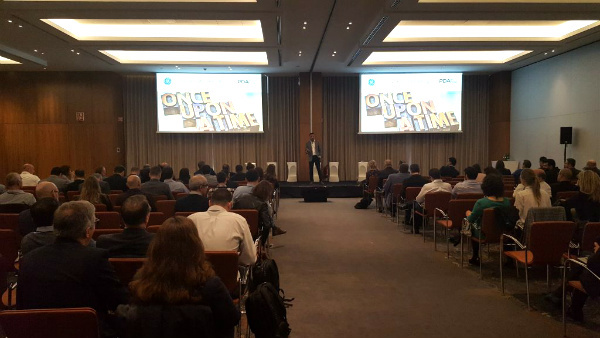 PDAgroup’s relevant, high-quality, and engaging presentations successfully conveyed the desired messages and were positively received by the audience. Thanks to the close collaboration, the expertise of our consultants, and the trust that Norman Ernst gave our company, the delivery of the two presentations was outstanding. It was a pleasure for PDAgroup to have helped fuel the journey of GE Digital into the future, which was also the summit’s motto. Demand for Storytelling and Design Thinking workshops has dramatically increased in the last few years. The former enhances salespeople’s abilities to establish trust and build lasting relationships. The latter is an agile method that fosters creativity and problem-solving. Get in touch with Britta to find out how PDAgroup can help your team. PDagroup is a training and consulting company, seated in the ancient Imperial Palace of Innsbruck and surrounded by the enchanting mountain landscapes of Austria. Its experts design and deliver excellent learning experiences that are skillfully tailored to your company’s unique onboarding, enablement, and training needs. Through our analytics, tools, and expertise, your business will be able to optimize the sales channel performance, its Learning & Development processes, as well as its digitalization strategy. On top of that, the extensive network of researchers, university scholars, and senior consultants allows PDAgroup to offer you customized solutions based on the best practices, compelling insights, and proven methods.